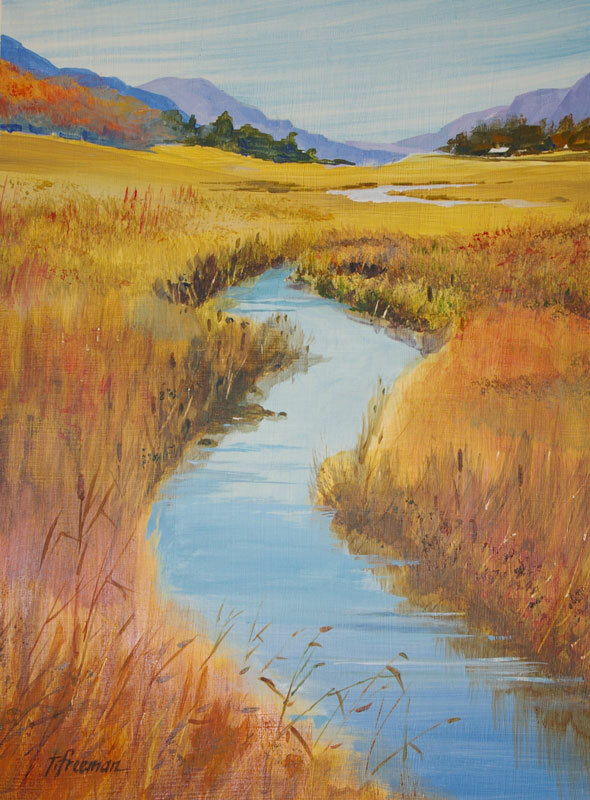 Thomas Freeman Original Watercolor Painting: "Silver Creek"
Occasionally I paint with acrylics if I want to use an opaque medium. It handles easily and you can paint over dark areas which is difficult in watercolor. It is an imaginative painting - and one that is reminiscent of a “Silver Creek” I knew as a boy in Michigan.